It has been warm since yesterday and it looked like spring had arrived. The temperature was over zero at the upper area even in the early morning and soft sunlight came through clouds. 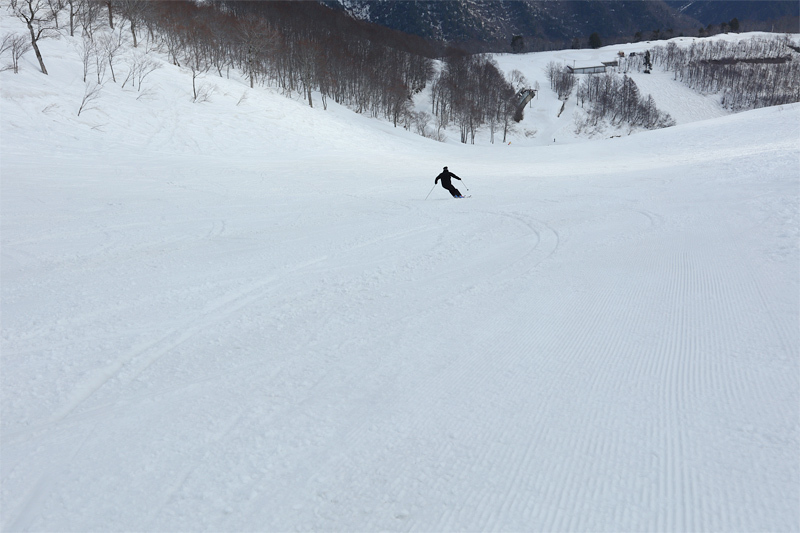 Corn snow was nicely loose on the southern compacted side of Usagiraira and my skis ran smoothly. The area along Kurobishi No.2 Quad was covered with loose granular snow. “I enjoy your reports! I often come to Happo and I’ll keep coming depending on snow condition”, a man from Kyoto said. 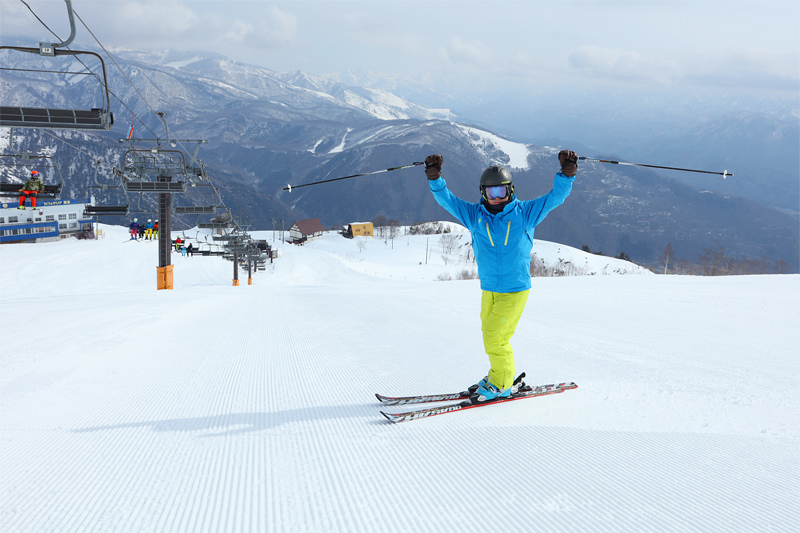 Many people arrived early and the wide, flat slope was soon filled with beautiful ski/snowboard tracks. 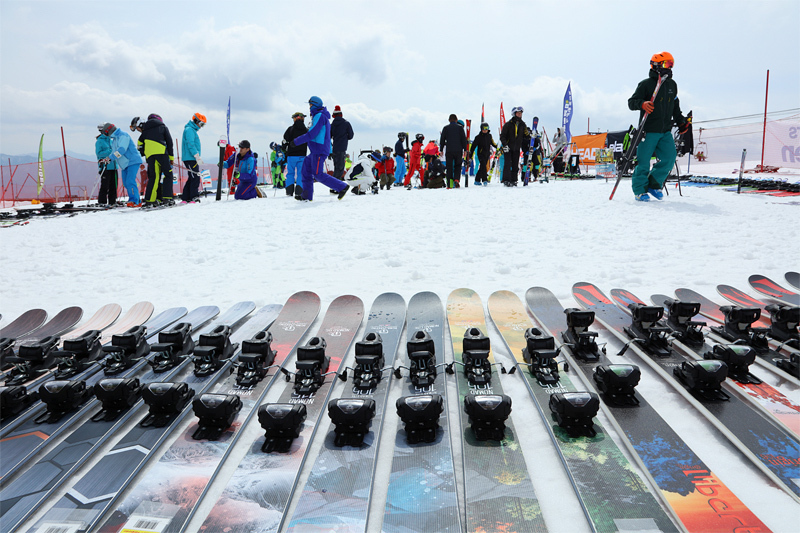 “SKI Trial and Special Ordering Event” is held in front of Usagidaira Terrace over two days, yesterday and today, hosted by SPORTS DEPO Alpen. One trial is 30 mins long and you can try as many 2019-2020 models as you want. (※Reservation required, no charge.) All buyers will receive a 4,000 yen discount voucher. I found that the snow was loose and crunchy as I went down and reached the middle area. There was plenty of snow and I didn’t find any bushes or bare parts. 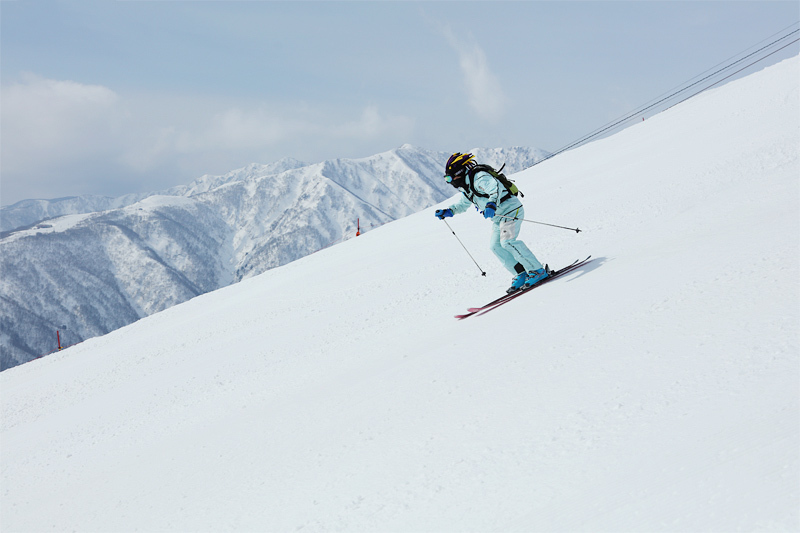 For your information, nine courses are still open as it was announced on Apr.8 (Mon) and two routes; one to Nakiyama and the other to Shirakaba, are available to descend from Riesen.